Last weekend we witnessed some brilliant football in the Premier League and i’m hoping for more of the same this weekend. Top of the league Chelsea travel to Sunderland in a game they’ll inevitably win, whilst the inform Southampton host the Premier League Champions Manchester City at St Mary’s. Burnley have now won two consecutive games after going ten without a win and they face the out of form Aston Villa on Saturday. After a morale boosting victory over Arsenal last weekend Manchester United moved into the top four of the league table. On the other hand Hull City are just one point outside of the relegation zone therefore points are needed and the pressure is on Steve Bruce. It’s no surprise to see Man United as the 1.3 favourites to win this match given both sides positions in the league table however I can’t help but feel that United’s price is on the short side. Hull may be close to the relegation zone but I don’t feel that their performances deserve that. Last weekend they were beating Tottenham until Gaston Ramirez stupidly got sent off, they went onto lose the game despite playing well for the opening 50 minutes of the match. Steve Bruce’s side has some very good players, the likes of Diame, Huddlestone, Jelavic, Dawson, Davies and Robertson are all quality players, Hull will have a decent season despite a poor start in my opinion. The bet I’ve chosen this week is Hull City +1.5 goals which means if they lose by one goal or get a result on Saturday then this will be a winner. Hull have lost just one game this season by more than one goal and that was against the Premier League Champions Manchester City. On the other hand Manchester United have won just one game by more than goal which makes this bet look great at odds of 2.03. United are not the side they were a few seasons ago, they are struggling for goals and are very fragile defensively, not to mention all the injuries they have. 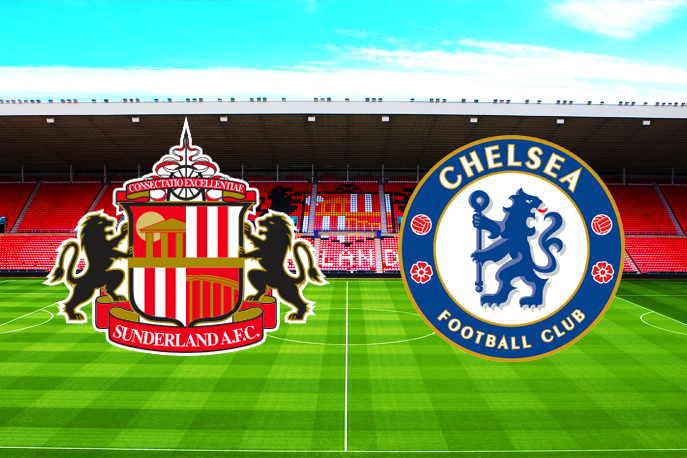 Televised on Saturday afternoon is Sunderland v Chelsea. Sunderland are a club who are under threat of being relegated this season in my opinion after coming close over the past few years. Chelsea on the other hand will inevitably win the Premier League title after an excellent start to the season, they remain unbeaten after twelve matches. The likes of Eden Hazard, Diego Costa, Oscar and Cesc Fabregas have been brilliant for Chelsea this season, given the strength of their squad it wouldn’t be surprising if they went the whole season without losing. It’s not surprising to see Chelsea as the 1.5 favourites to win this match and I think they’ll comfortably win against a poor Sunderland side. Chelsea have already won seven games this season by two or more goals and i’m happy to back them to do that once again. Last weekend they beat West Brom 2-0 despite taking their foot off the gas in the final hour of the match. Sunderland on the other hand recently lost 8-0 to Southampton and another thrashing could be on it’s way against the best team in England.